In relation with professional certificate training in climate change program, RCCC UI and CEES CU along with USAID are opening short courses on climate change topics which will be held in different cities in Indonesia. Conducted in no more than two days per course, enthusiast participants who have limited free time will find this offer interesting and also affordable. 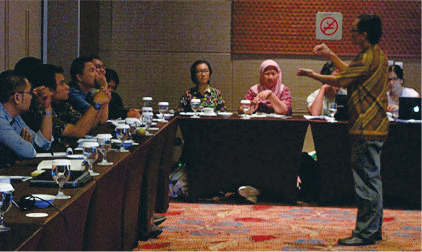 Currently three courses are being offered and the first course has been successfully conducted in Yogyakarta. The second course will be held in Bukittinggi on August 2014. For more information, please contact Irma Susilawati Dana on email ( communication@rccc.ui.ac.id) or by phone (0818 750 499).